When exercise, medication and physical therapy aren’t enough to relieve your hip pain, your orthopaedic specialist may recommend hip replacement surgery. Keep in mind that today’s minimally invasive techniques allow patients to heal much quicker and with less pain than decades ago. Still, there are risks with any type of surgery you have. Knowing what you need to do to recover safely and effectively will help alleviate your pain and ability to walk. The most common reason people need a hip replacement is to treat osteoarthritis in the hip joint. Hip replacement surgery can also help people who have bone tumors, a hip injury, rheumatoid arthritis or osteonecrosis. Although most people can go home three to five days after hip replacement surgery, your full recovery can three to six months. It’s really based on what type of surgery you, your overall health and how quickly exercises help you heal. You can improve your recovery time by following specific instructions that your doctor gives you. If your orthopaedic surgeon suggests working with a physical therapist, make sure you attend all sessions and complete your exercises. If you have to use crutches or need your arms and hands free to help you balance, try wearing an apron around the house to help carry things. Instead of reaching for things you might need, use a long-handled “reacher.” These handy devices make it a cinch to turn on lights or grab things you need. The main thing you want to avoid after surgery is dislocating your hip. This can happen if your body goes into certain positions, such as pulling your knees up to your chest. Exercise can make a significant difference in how well you recover after hip replacement surgery. More than likely, your physical therapist will have you complete exercises that increase your range of motion and make your muscles strong. Don’t try to do too much too soon. Listen to your doctor and make sure you have their permission before you try harder types of exercise such as playing basketball or tennis. You don’t want to loosen your new hip joint or damage it. 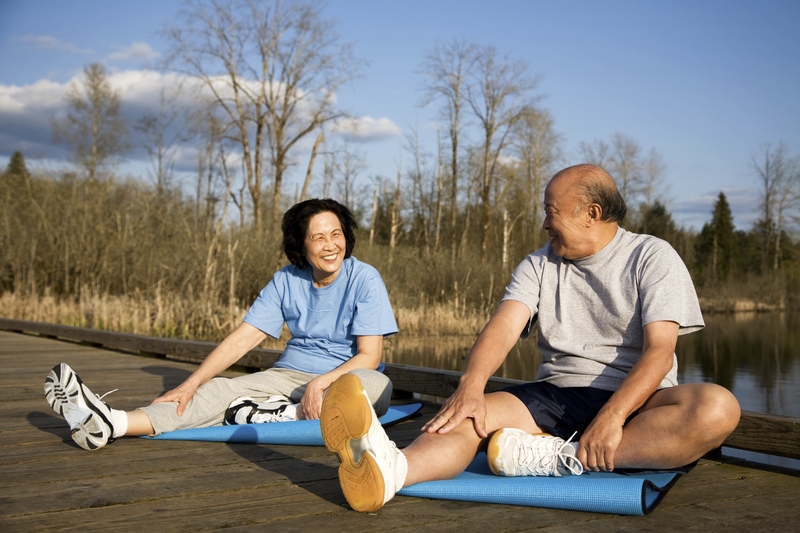 + Read about advances in total joint replacement at Virginia Orthopaedic & Spine Specialists.